Background: At EI Design, our compliance practice is 14 years old. One in six courses that we build is on compliance. Over the years, we have used several innovative instructional strategies to create immersive and engaging compliance courses. Our mandate is "Compliance Simplified" and usage of these strategies has helped our customers see the required behavioral change that they sought. 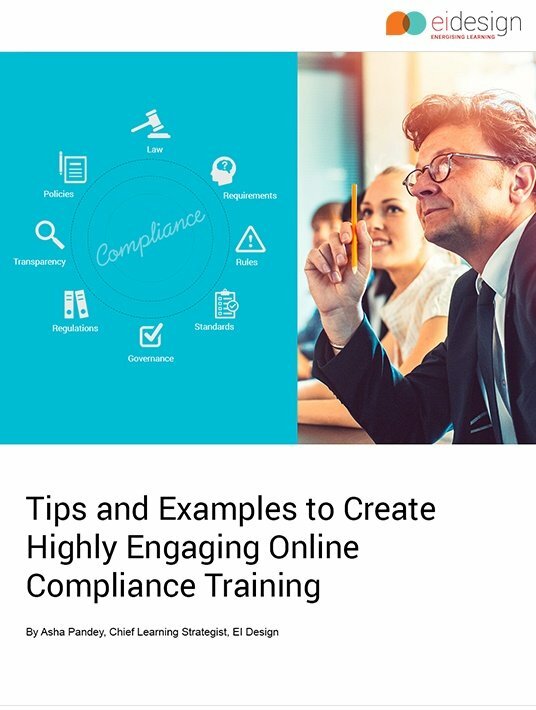 This eBook provides practical insights on how you can create highly engaging Compliance courses. What Innovative Instructional Strategies Can Be Used To Uplift Boring Compliance Courses? Can Gamification And Microlearning Be Used To Uplift Dry Content Associated With Compliance Courses? Absolutely. Who doesn’t like having fun? Ask your learners to choose between a standard compliance course and one with an element of gamification with it, nine out of ten times they’ll go with the latter. 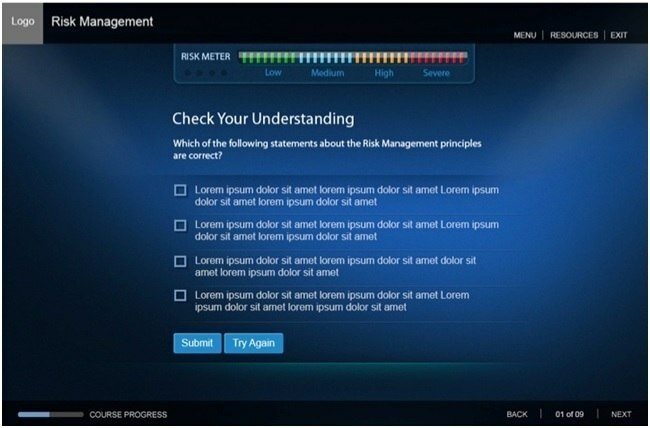 Microlearning, with its innate nature of brevity and flexibility to drive home a specific message effectively, can also be a great option to enliven your compliance subjects. Needed to have elements of both challenge and reward. Must be such that the game scenario/story maps to the context of the course content. Needed to provide learners with a feeling of resonance – situations that are similar to what they do in their everyday job. Needed to increase the learners’ knowledge as they cleared one stage after the other. Highlights of the concept: We came up with a gamification approach that was task oriented and simulation based. In line with the contextual requirement, we mapped the game scenario with the risk management theme. We posed challenges to learners at every stage of the game. As they cleared each of these challenges, they experienced incremental learning after every stage. We provided the learners with a work setting (visual) that resembled their day to day environment. The challenges were presented in the form of bonuses and bombs and the rewards came in the form of caps and badges. That apart, we enhanced their learning experience with activities that evoked feelings of surprise and delight. We provided the option of seeking help to the learners as they went about their tasks. This resonated well with the learners as they would do the same in real life in times of need. This also helped achieve better application of knowledge and enhanced performance. 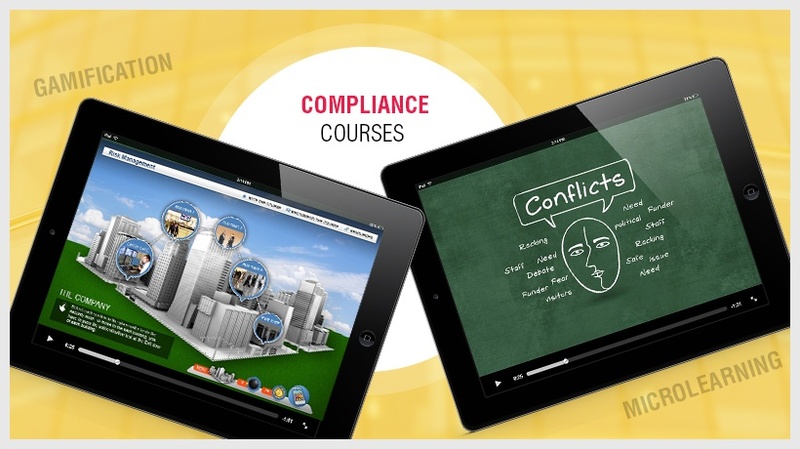 View how we enriched this compliance course using gamification here. Background: Here, the focus was on gamifying only portions of the course and not the complete course. We decided to gamify the inline checks and the assessment section. While the rest of the course followed a more traditional approach, we used the Partial Gamification approach at points where the learners needed to answer questions to proceed to the next topic. Our concept: Like in the previous example, we based our gamification approach on the risk management theme and asked the learners to obtain an "access key" to be able to advance from one topic to another. The learners had to answer the questions correctly at the end of every topic to obtain the access key. The theme also reflected in the overall visual appeal of the course. 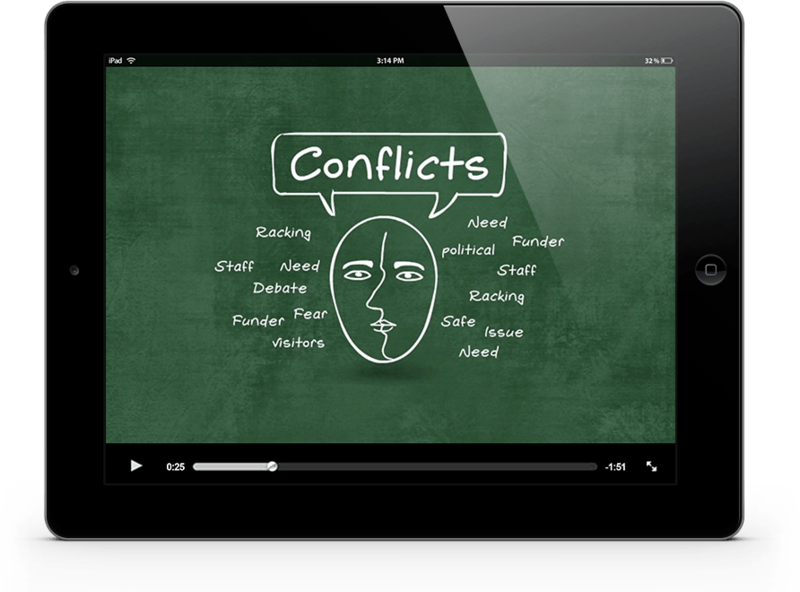 Background: To make the compliance subject on conflicts of interest interesting, we created a microlearning nugget using the whiteboard animation technique. We used this nugget as a Performance Support Tool/Learning Aid and made it available to learners on tablets/smartphones/desktops/laptops. This made it easy for them to refer to the nugget at the time of their need on mobile devices. Focus of the microlearning nugget: The microlearning nugget was built to complement a compliance course on conflict management. We kept the message and animations/illustrations simple providing the learners with a great mix of action on the screen and time to comprehend the message. To reinforce the message, we backed the visuals with audio. The nugget conveyed in simple terms that conflicts do exist, how one can recognize them, and how they can be resolved. By Using Strategies Like Gamification And Microlearning, What Tangible Gains Will You See? While the compliance mandate does come with a few strings attached, there is no denying that you need to have elements of engagement that can create sticky learning experiences so that this learning gets translated into application on the job. Immersive experience: The courses are taken with genuine interest (no bitter pill but learners will enjoy the experience). Instils the spirit of “why comply”. Leads to the required behavioral change. 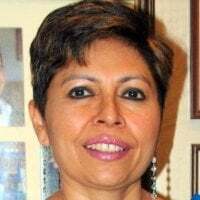 I hope this article showcases the gains of using innovative learning strategies like gamification and microlearning to create engaging compliance courses. If you have any questions, do contact me.